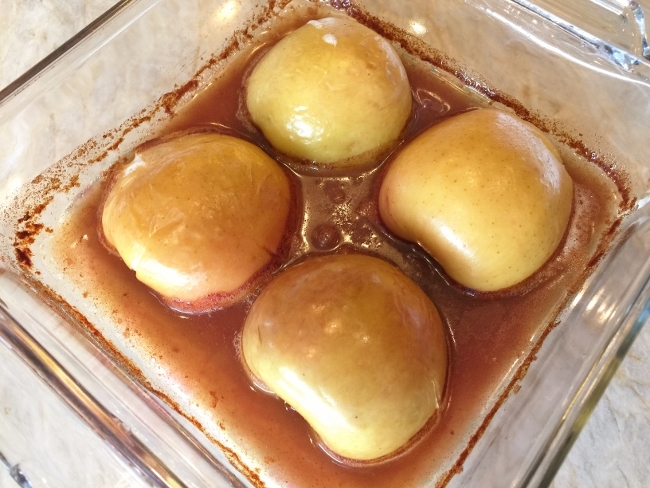 Skinny Baked Apples - Recipe! - Live. Love. Laugh. Food. 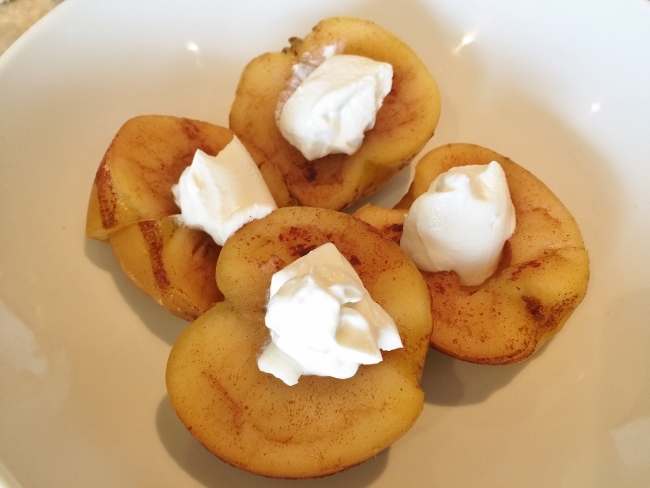 Skinny Baked Apples – Recipe! 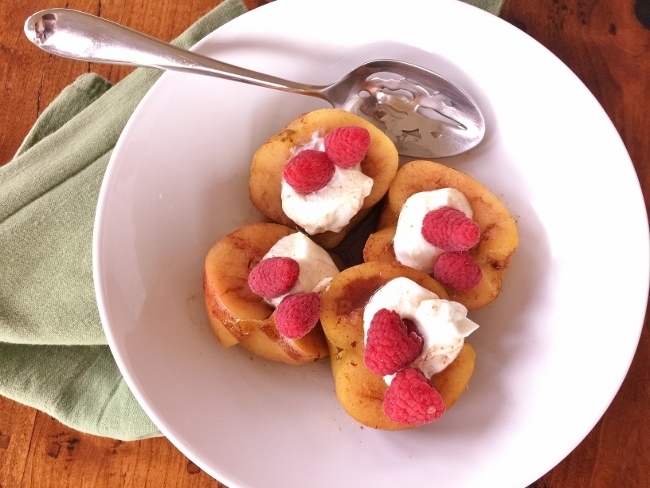 If you’re trying to cut down on calories, but craving something sweet, fruit usually is a great option. Apples are in season and make the best dessert eaten fresh from the tree, or baked in the oven because their juices become concentrated, rustic and naturally sweet. 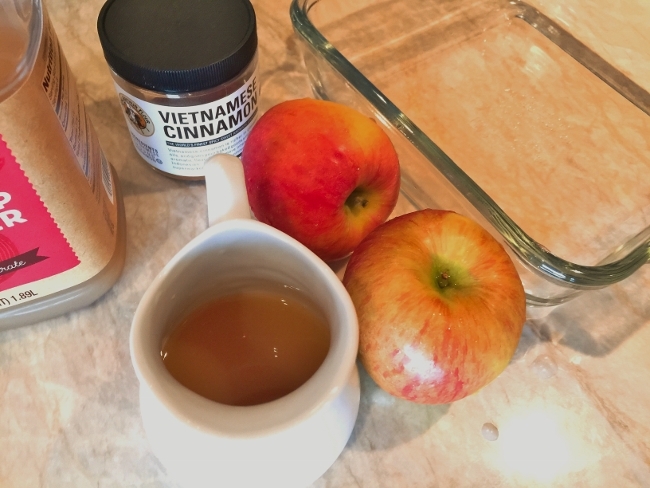 There are so many varieties of apples to choose from, and if you plan on baking them; like for this dessert, a firmer apple is usually best. Granny Smith apples tend to be a favorite baked in pies and tarts, but if enjoying them naked or without a crust or topping, I’d go with a Gala or Honey Crisp apple that have a bit more personality. 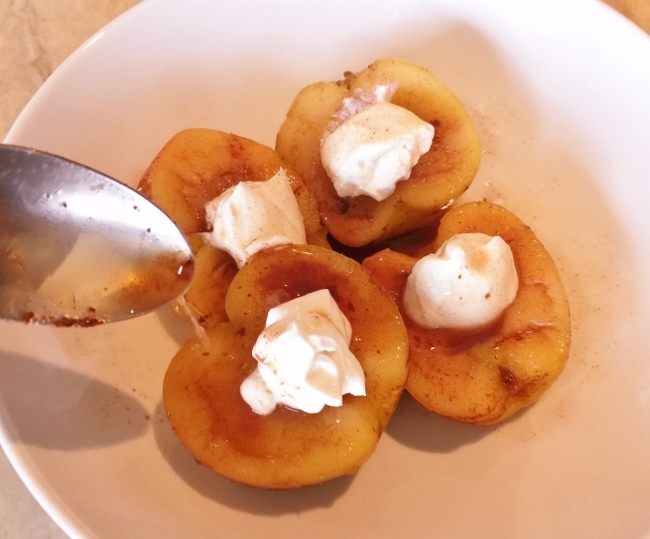 This apple dessert is one of the easiest things you can prepare and truly amazing. After baking, the sweet cinnamony juices that remain in the pan are syrup-like and make a nice drizzle over the top. I love to dollop each apple with a spoonful of yogurt for a creamy cool contrast, not to mention a nice boost of protein. 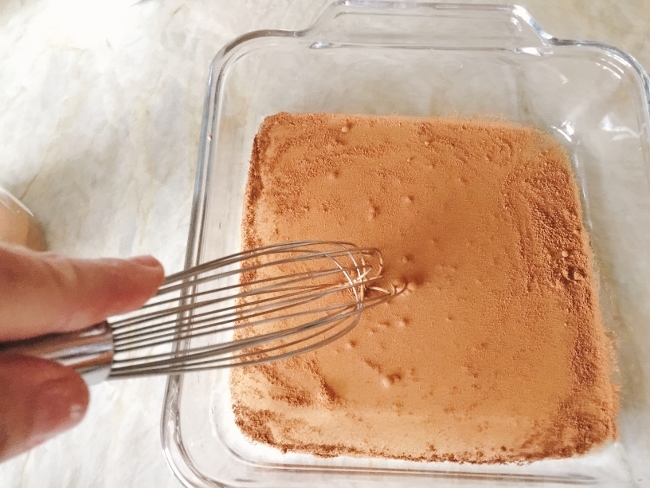 You can serve this recipe for dessert, as a snack or even for breakfast – a divine way to start your day. 1. Preheat oven to 350 degrees. 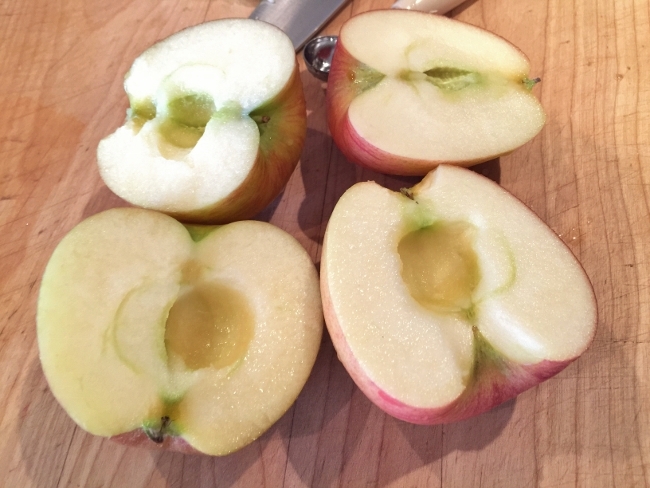 Wash, slice and core apples. 2. 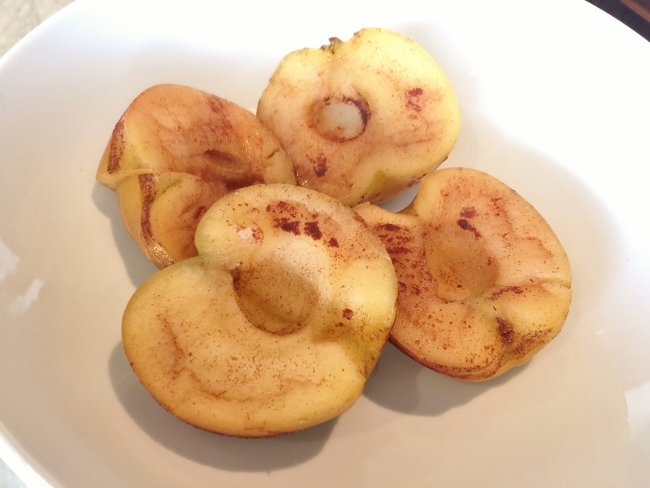 Pour apple juice in casserole dish and add cinnamon and a pinch of salt. Whisk to combine. 3. Place apples cut-side-down into dish. Cover with foil and bake for 50 minutes. 4. 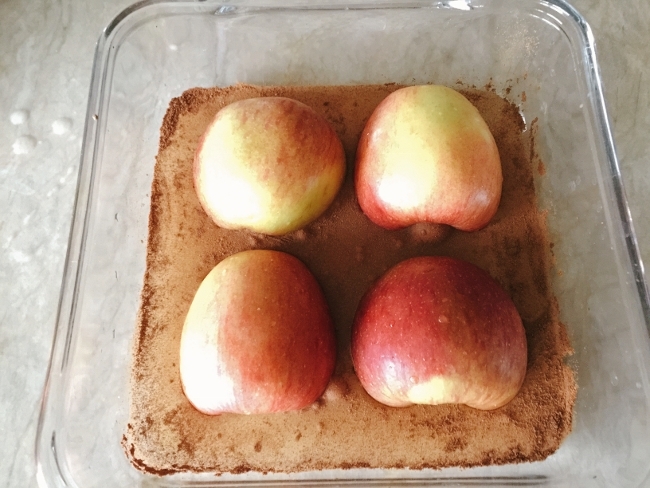 Remove apples from oven and place in a serving bowl, or individual bowls. 5. Dollop a heaping spoonful of yogurt on top of each apple. 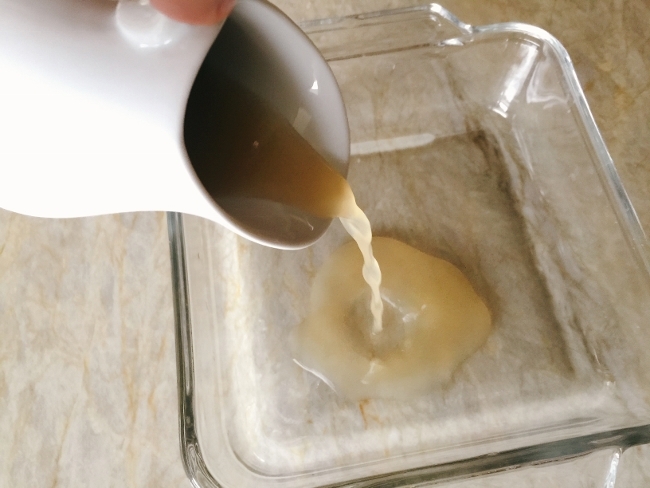 Drizzle with remaining juices from casserole dish. 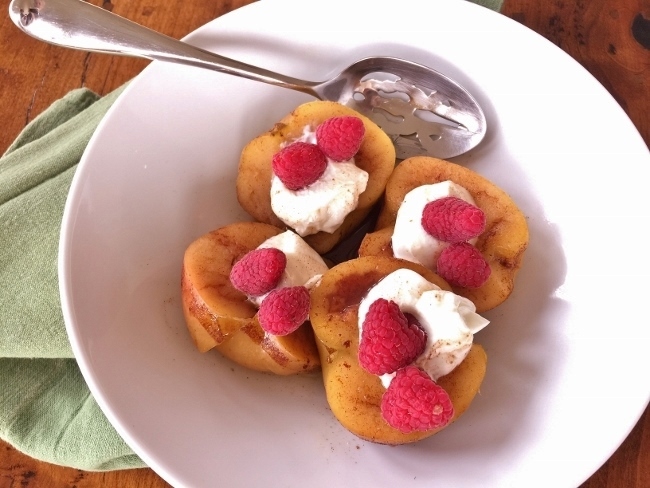 Top each apple with fresh raspberries and serve. Enjoy! 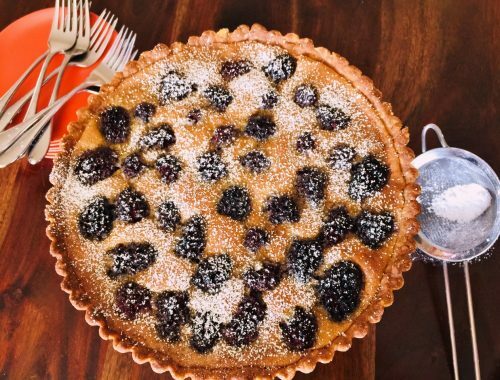 Brown Butter Blackberry Tart – Recipe! 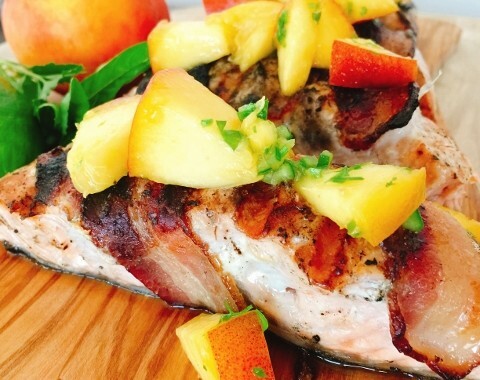 Grilled Bacon Wrapped Salmon with Summer Peach Salsa – Recipe! 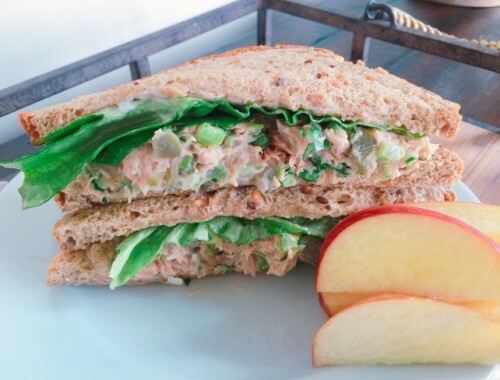 Tuna Salad Sandwiches – Recipe!